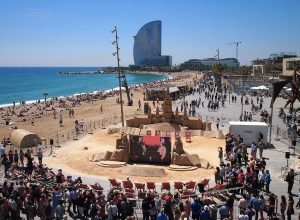 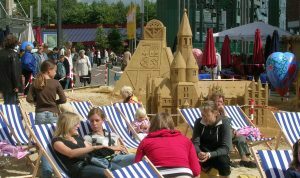 Right in the middle of town, chill on the beach, drink cocktails, listen to live music, play in the sand, take part in workshops – surrounded by our sand sculptures that provide a summer atmosphere... Wouldn’t that be a great option for your next city festival? 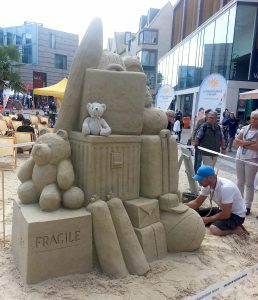 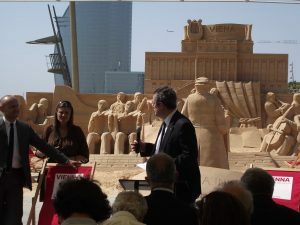 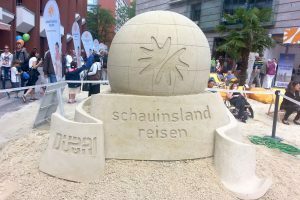 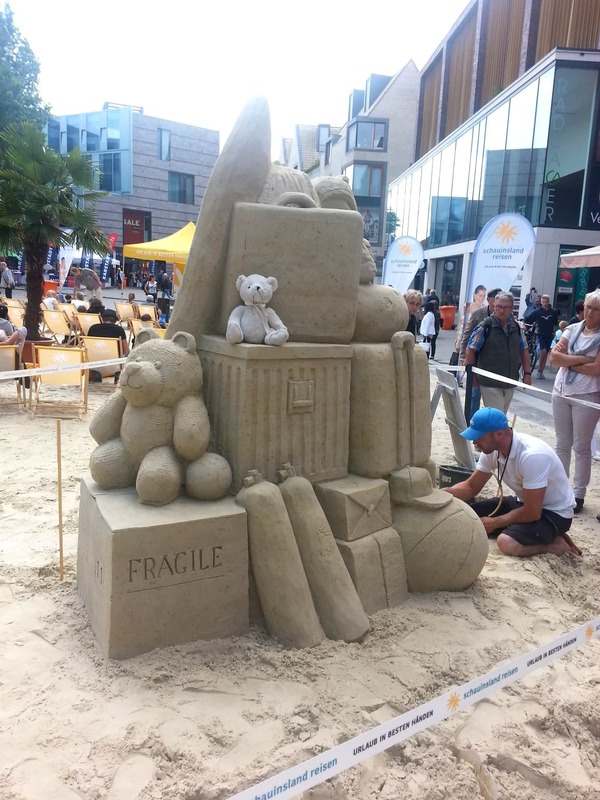 Whether an architectural scene with buildings from your city, or your international twin town, or holiday-oriented themes: Sand sculpture events can be integrated into city marketing with outstanding success. You want to attract more guests to your city? Go where the potential visitors are already.